This product is no longer available. You have reached an inactive page on our Website. Click here to go to our homepage. 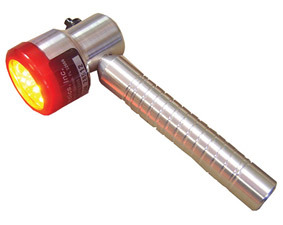 This hand-held light therapy unit has 9 diodes: five infrared, which stimulates deep tissue; and four red, for tissues and cells closer to the surface. The combined effects are useful for soft tissue injuries, arthritis and other joint problems; and for reducing pain. Operates on AC adapter. Dimensions 9 1/2" x 2 1/2"; treatment area 1.22 square inches. Comes with 66-page booklet and carry case.